Each and every one of us has some kind of goal that we would love to achieve. A goal that you know once it has been accomplished, your life will feel complete. For many of our riders, riding in a horse show is a life dream. Well… we made that dream come true. 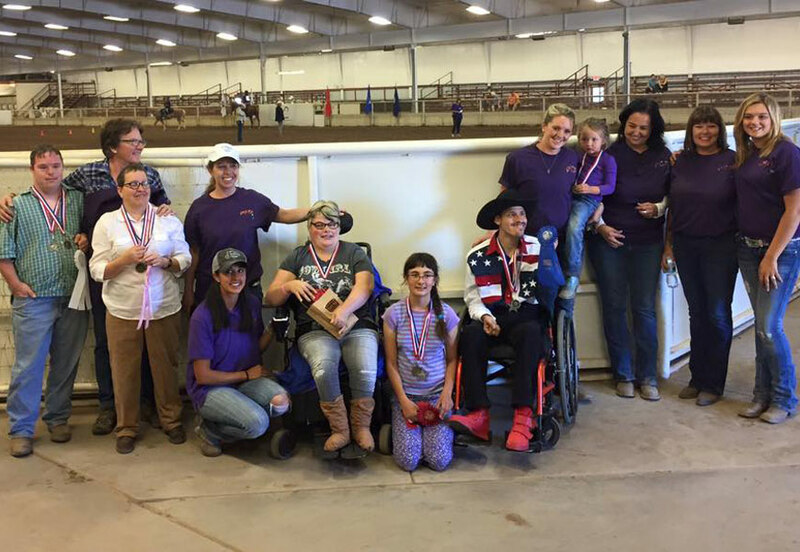 Two years in a row, NMCTR riders have competed in the New Mexico State Fair Horse Show called “Horses Helping People.” Therapeutic horseback riding programs across the state got together and attended the show. 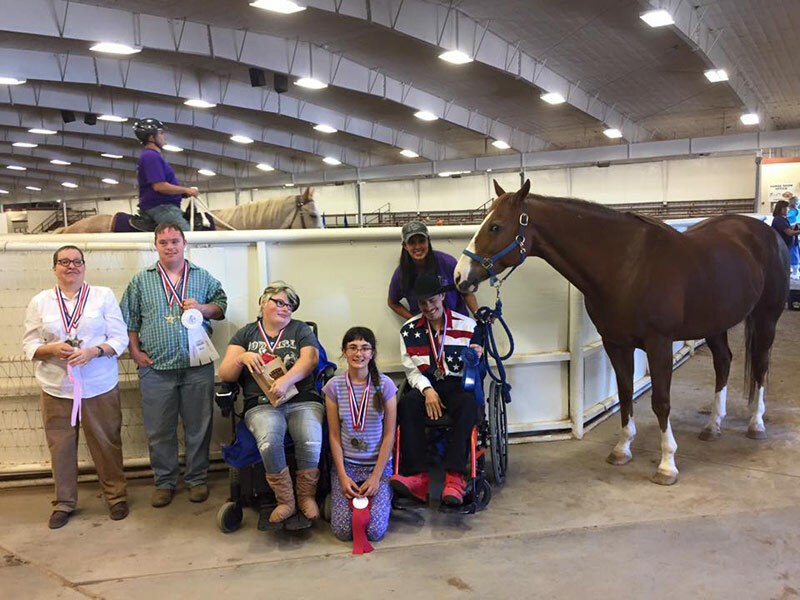 Each program brought their riders of all ages and disabilities, an army of volunteers, and the heroes of the programs – the horses. The riders entered a class based on their age and level of riding. 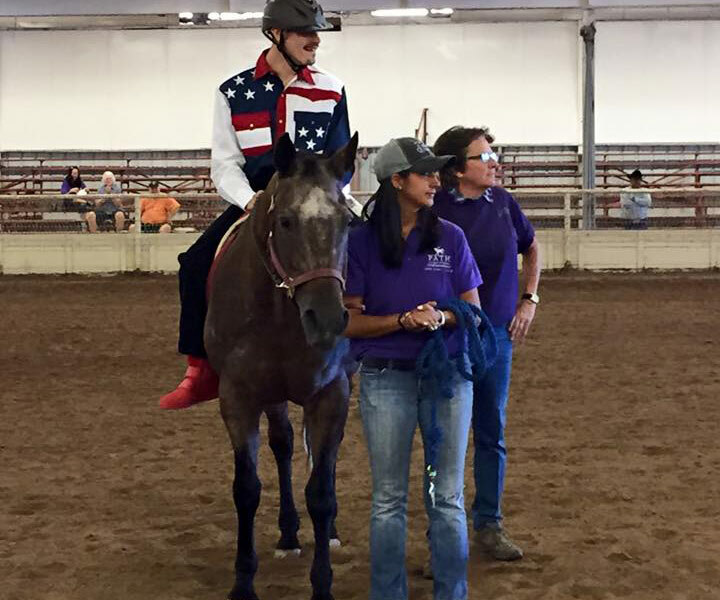 There were supported classes, unsupported classes, walk/trot classes, and a veteran’s class. The riders demonstrated their ability to control the horse and were judged by professional judges. 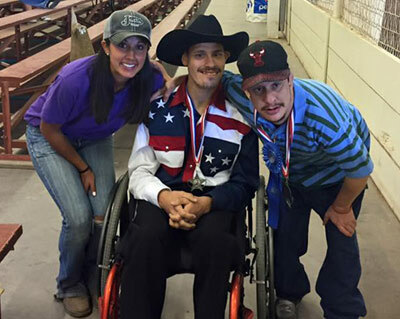 The riders received a ribbon, a metal, and a prize. It was quite the ordeal! This show was not about the placing’s or who won. 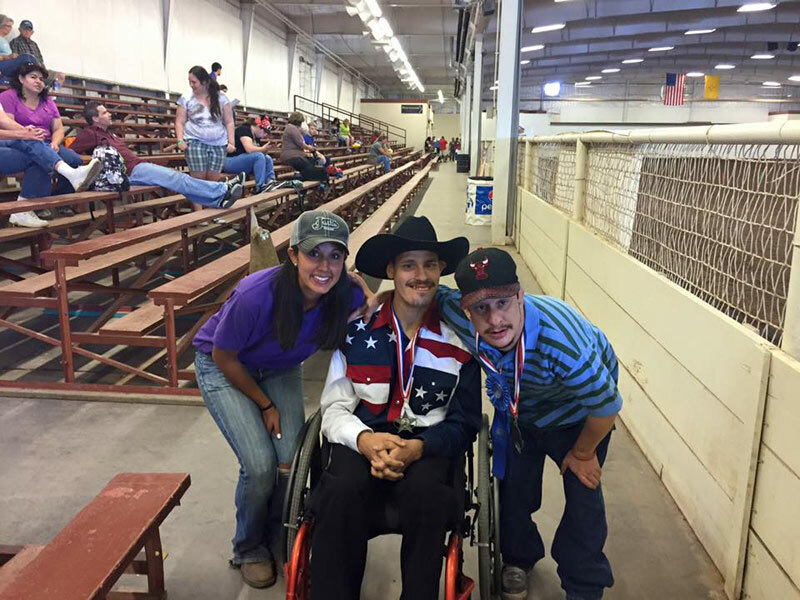 This show was to allow someone with a physical, social, emotional and/or cognitive disability to overcome that disability, ride a horse and show off their ABILITIES. The faces of joy, the amount of excitement, and the looks of determination was a sight that will never get old. We could not be more proud of our riders! Some riders overcame the fear of riding alone and rode independently. 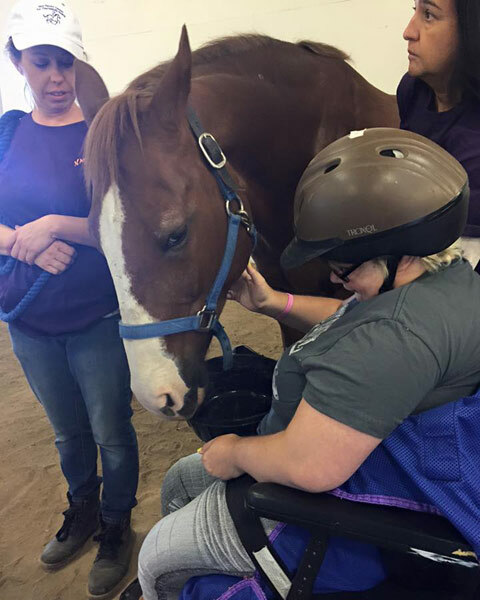 Some riders were overwhelmed with sensory input but embraced the horse/rider connection to maintain the concentration. Some riders have worked very hard to strengthen their physical abilities to be able trot. Our riders displayed trust, something that is even hard for you and I to do. They trusted their horse would not spoke at the new indoor arena or the crowds or the sounds of the traffic or the babies crying or the spectators clapping. It was a very different atmosphere for our riders and horses but they still overcame the feeling of nerves and fear of being judged not for their disability but their ability to ride. It was an amazing experience and we can’t wait for next year! Check out some of our pictures of this awesome horse competition!